Our packhouse prepares and packs produce for export by both Sea and Air. We can supply all your produce needs. NZ Hothouse is a significant exporter of glasshouse produce throughout the Pacific Rim. 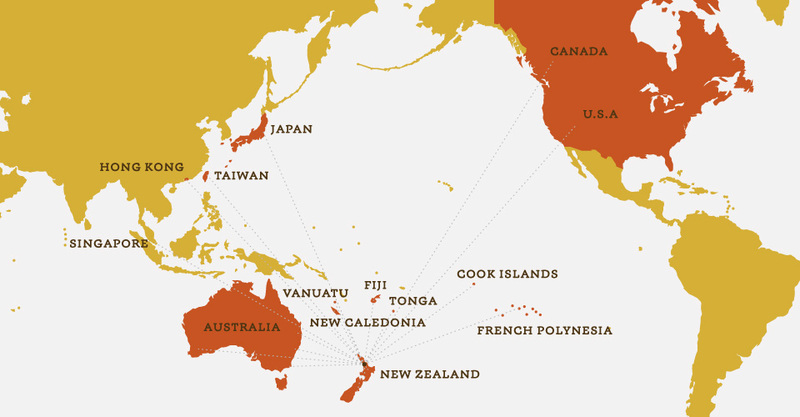 Produce is being exported to Canada, USA, Australia, Singapore, Japan, Taiwan and Oceania on a regular basis. South Seas is the export arm of the NZ Hothouse Group Ltd, who have remained 100% New Zealand owned and operated for over 35 years. South Seas have been supplying fresh New Zealand produce to the world for over 10 years. Our passionate team have a combined experience of over 40 years. South Seas Exports supply an extensive range of over 350 produce lines. From Aubergines to Zucchinis and everything in between. We are the proud marketers of Zespri Kiwifruit throughout the Pacific, and NZ Hothouse Tomatoes and Cucumbers around the world. We are one of New Zealand largest tomato and cucumber growers. Our excellent relationship with fellow New Zealand growers allows us to proudly supply the best produce from around New Zealand. NZ Hothouse’s export season is from October to May (the New Zealand summer) with limited volumes available through the winter for Tomatoes and Cucumbers. South Seas Exports can supply all year round depending on the availability of your desired product.